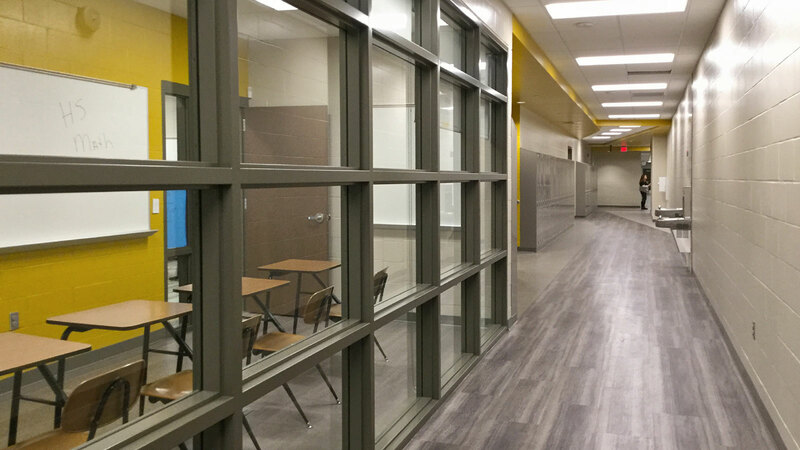 A 55,000 sf addition for upper grades created a PreK-12 campus contained within a single, connected building. 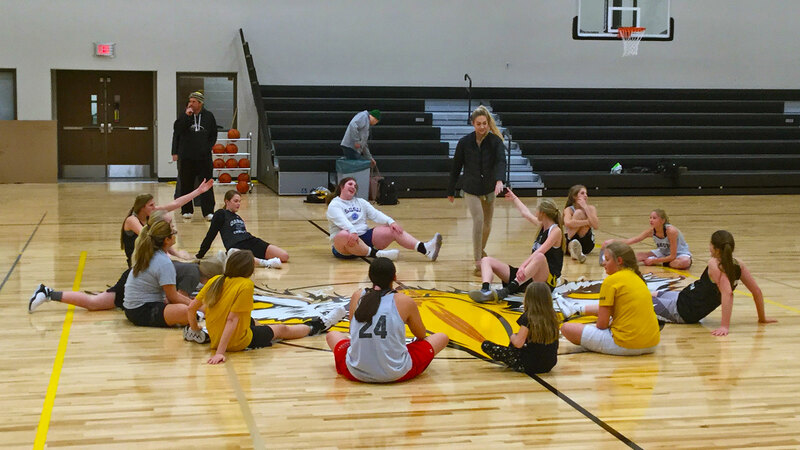 Residents of Andes Central School District had wanted to expand and modernize their high school for more than 10 years, in part to retain the sizable number of students who open-enroll in surrounding districts to attend newer facilities. After we were hired as the architects and engineers, TSP engaged consultants Dennis Sun Rhodes to advise on cultural-design aspects for the school, where a majority of the student body identifies as Native American. The existing high school was landlocked, so leaders decided to build an addition at another site, where the elementary and middle schools shared a campus. This then put all three grade divisions—pre-kindergarten through fifth grade, grades six through eight, and grades nine through 12—in a single, connected building. A link between the elementary and middle schools now serves as a courtyard space. Team members met with tribal members during the conceptual process to identify imagery significant to the community. Early sketches with more literal sculptural elements gave way to geometric shapes that suggest patterns found in traditional tribal work. 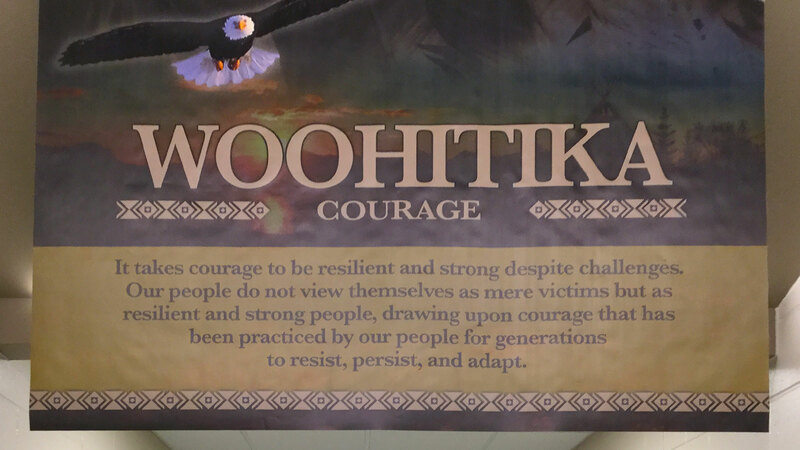 Three quarried rocks now stand in an outdoor area, and indoor banners describe tribal virtues in both Dakota and English. TSP’s architects and engineers embedded sustainable-design features throughout the complex to give the District a high-efficiency facility without the added time and expense for full LEED certification. The 55,000 sf addition created a new high school with two gymnasiums. Locker rooms are situated to serve both gyms as well as a nearby fitness space that adjoins the wrestling room. Each gym has its own entrance from an interior athletic commons that contains the concession stand and ticketing areas. The main gym offers bleachers on both sides, while the auxiliary gym has a single set of telescoping bleachers moved from the old high school. This secondary gym houses physical-education activities and also can be used for performances. 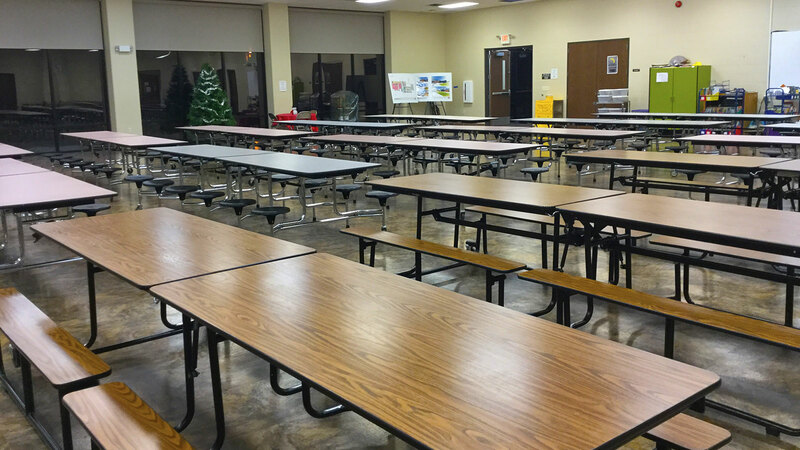 A total of 12 flexible classrooms were added to serve middle and high school students. 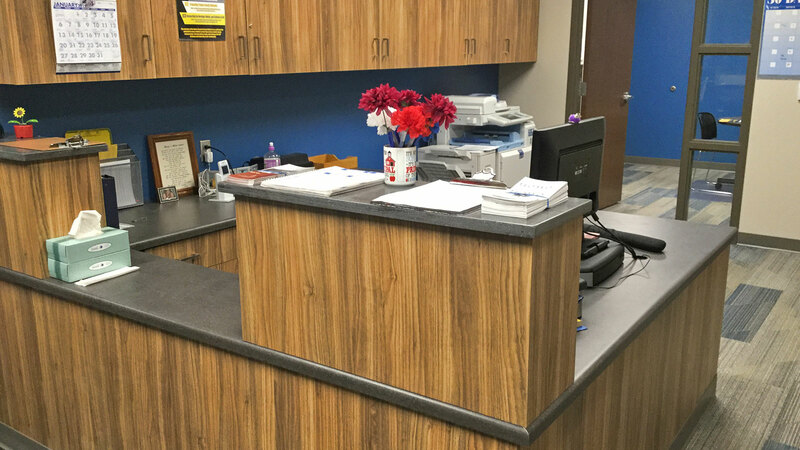 These include science “classatories” with movable casework and other furniture to easily transform from classrooms to laboratories and back again. There are spaces for career and technical education as well as areas for family and consumer science. Four general classrooms feature breakout spaces for small-group study, with each breakout connecting a pair of classrooms. Key features are centrally located to serve the entire school. A repurposed former gym became a library with new clerestory windows to provide natural light. A large, flat ceiling area and a cabinet for a specialty projector allows display of star charts and other imagery. Rooms for K-12 music and art also are the center of the new complex. 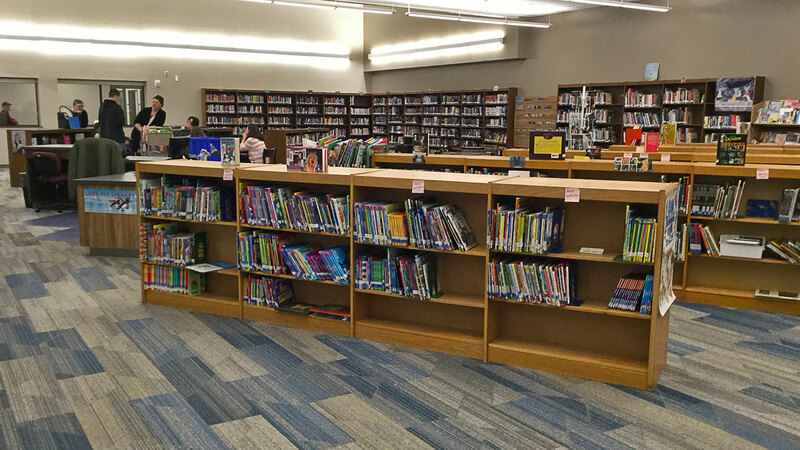 The remodel portion was completed for the beginning of the 2018-2019 school year. The high school addition opened Jan. 7, 2019.